If you are unhappy with the appearance of your smile, we can design a smile makeover to give you the beautiful smile you desire. A smile makeover uses one or more cosmetic dentistry procedures to transform your smile, eliminating complaints and ensuring you are happy with the results. Every smile makeover is custom-designed, and includes a unique approach that fits the current health and appearance of your smile, your cosmetic goals, and your limitations in terms of time and budget. If you want to get your own custom smile makeover, please call 201-546-8512 or email for an appointment with a River Edge, NJ dentist at the River Edge Dental Center for TMJ, Sleep Apnea, & Reconstructive Dentistry. No matter what your cosmetic goals, we can design a smile makeover for you. Here are some of the common goals patients talk to us about. Whiter Teeth: Discolored teeth is probably the most common complaint people have about their smiles. Discolored teeth look unhealthy and can make you seem older than you want. Teeth whitening is the most common approach to get whiter teeth, but porcelain veneers or dental crowns may be necessary if your teeth are discolored from within. Straighter Teeth: Whether your teeth are crowded, gapped, or otherwise crooked, there are many approaches we can use to straighten them. Orthodontic braces or clear braces like Invisalign can be used to move your teeth, but in many cases we can also use porcelain veneers as a kind of instant orthodontics to transform your smile without moving your teeth. For minor tooth gaps, dental bonding may also be a good solution. Repaired Teeth: If you have teeth that are chipped, cracked, or worn, we can repair them with dental bonding, porcelain veneers, or dental crowns, depending on the level of damage. Functional Bite: Teeth that are chipped, cracked, or worn may be caused by an imbalanced bite. Using neuromuscular dentistry to design your smile makeover, Dr. Martirossian will ensure that your new smile works harmoniously with muscles, joints, and jaws to preserve your restorations and function comfortably. We ensure your bite is balanced using scientific measurements, such as the T-Scan digital bite measurement. T-Scan measures the exact force your teeth and restorations experience as you bite down so we can eliminate any stress points that could damage teeth or restorations. More Natural Restorations: If you had cosmetic or reconstructive dentistry in the past that either never looked attractive or have aged poorly, we can replace them with more attractive ones. Metal restorations, such as metal amalgam fillings or gold crowns can be replaced with tooth-colored fillings or porcelain crowns. Replacing Teeth: If you’re missing one or more teeth, there are more tooth replacement options than ever. Dentures have long been the primary tooth replacement option, but with New You Dentures, they’re better than ever. Dental bridges can work for one or two missing teeth, or, with dental implants, can replace even more teeth. We also understand that you have limitations when getting a smile makeover. We can design your smile makeover around your limitations. There are always tradeoffs, of course, and we will make it perfectly clear what tradeoffs you are facing in your smile makeover. Time: All of us have limited time, and if you are facing a deadline, we will can adjust the procedures we use. Orthodontics take the longest, up to a year or more. Six Month Smiles can cut that time in half for many people, but instant orthodontics with porcelain veneers can achieve results in a month. Six Month Smiles also makes your tightening visits shorter and more convenient. Teeth whitening can be done in-office for same-day results, although take-home trays give better whitening. We can also use dental bonding instead of porcelain veneers if you need smile repairs accomplished the same day. Budget: We understand you’re on a budget and can offer lower-cost solutions for smile makeovers. In some cases, lower cost doesn’t have to mean lower quality, as with Six Month Smiles. In other cases, you may be sacrificing quality when you move to a lower cost option, such as getting Snap on Smile or dental bonding instead of porcelain veneers. We offer numerous payment and financing options to help you get the quality of care you desire without breaking your budget. Want to learn how we can make the smile of your dreams a reality? 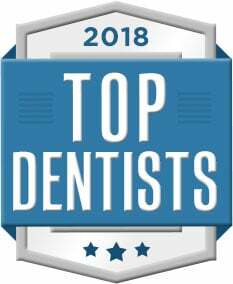 Please call 201-546-8512 or email to schedule a smile makeover consultation at the River Edge Dental Center for TMJ, Sleep Apnea, & Reconstructive Dentistry.